1. Go to Form Style tab in the tool bar. 2. Choose the Background option. 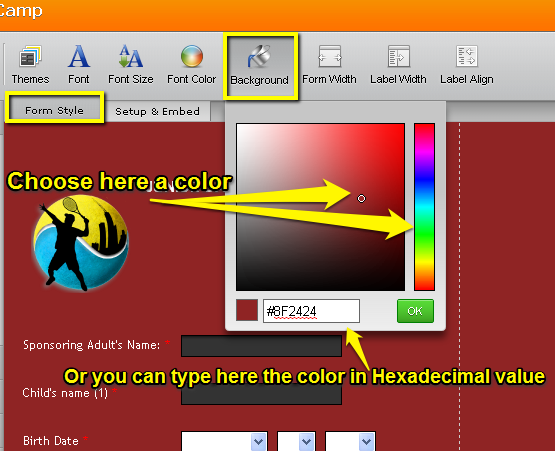 You can find a big variety of HEX color values HERE.